They say when you realise what your vocation in life is, you never stray from it, no matter what age you were when you made the discovery. This was very much the case for Dumebi Agbakoba, who had the vision to be a creator and entrepreneur from a young age. So, as she got older, the opportunity to chase the vision came into view, and she powered ahead to make it a reality. After attending no less than three universities, studying Fashion Business at University of the Arts London, Business Administration at University of Plymouth, and a multitude of disciplines at London College of Fashion, she then moved forward to gain professional success in the difficult arena of publishing, something which many have not been able to achieve on this level. Working primarily as a Publisher and the Editor in Chief of Side View Magazine, she managed to gain the respect of the publishing industry as a whole, and went on to achieve her goals with Side View magazine, which aimed to educate readers and offer them an outlet to read about cultural and social issues, on top of imaginative editorials that never swayed into the realm of bland. 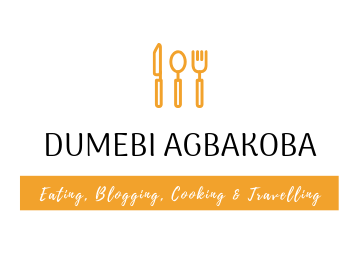 Dumebi doesn’t do bland – in any form! If there is one thing that she does well, it’s passion – no matter what the project, she works with a level of passion that is quite unlike any other, always ensuring she employs her keen eye for detail to tip projects to that next level that take them from good, to mind-blowing. Despite working as part of the media, she forever clung on to her first love; food. Now ready for a fresh challenge, she is transitioning into the role of private chef, maximising on her natural flair for cooking that she had from a young age, and her ability to cook dishes that don’t just tickle the taste buds, but absolutely ravish them. Bringing with her a wealth of discipline that has been gained from years of professionalism in an industry that takes no prisoners, she combines a natural talent that is well trained in the kitchen, with methodical practice and a spark that stands out from everybody else. A mother of three with the ability and drive to juggle her career with her children, she is constantly experimenting with exciting new recipes and strives to deliver something that is not only technically brilliant, but tastes amazing, too. Aromas, textures, nostalgia, layers, scents, sensations, moreish tastes and a dash of just knowing what works all goes in to her cooking, with her talent as a chef steadily maturing. Dumebi draws her inspiration from so many different mediums and is a diverse and dynamic chef; her ability to bring something real to the table makes her a success, and she invests in different cultures and ways of life in order to develop menus that are stimulating and stunning. With all cuisines cooked, twisted and experimented with, her beloved Nigerian background comes to the forefront and she combines traditional cooking with street food concepts to entice people to try something that they may not have tasted before. Just like when you discover your vocation in life and it sticks, your first love never leaves you either; Dumebi has been fortunate enough to maximise on both. Fast forward to 2018, with a love for event planning, she has added on the Chef Dish Food festival to her repertoire. A quarterly food festival which aims to promote the bustling food and drink industry of Nigeria. When she is not working, you can catch her eating, cooking or out having ice-cream with her kids. Dumebi my dear you are a very articulated young girl to achieve all this laudable project proud daughter of barr olisa Agbakoba(san)a well renow legal luminary.kudos my dear.